Hi! Today my dear friend Author Marta Perry was scheduled to share a story and tell us a bit about her new book out this month, Leah’s Choice, an Amish romance I highly recommend. But Marta has had a death in the family so today I’m going to take her place. I hope she’ll be available by next Thursday. A favorite honorary niece has asked me to share my zucchini bread recipe with her. 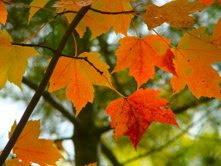 Also a group of readers on www.Goodreads.com Love Inspired Historical group are sharing autumn recipes. I want to share a recipe that is a life-saver if you have a lot of family and friends around the table at Thanksgiving who love stuffing! I always need more than I can stuff into even a 25 lb turkey. Beat eggs. Add oil, sugar, & zucchini & mix well. Stir in flour mixed with other dry ingredients. Fold in vanilla & nuts. Pour into two greased loaf pans. Bake at 350 F. for about an hour (or until toothpick comes out clean). Loosen & remove from pans and cool on rack. Saute onion and celery in butter till tender about 7 minutes. (Personally, I skip this step. I like my celery and onion firmer.) Combine all ingredients; add egg last and pour into crockpot. Cover and cook on high for 45 minutes. Then turn down to low for 5-8 hours. Determine if you should use all the liquid by the moisture of the bread cubes. For larger recipe 13-14 cups, double all ingredients. Hope those two recipes are of use to you. Our November has been warmer than our October. In our area of northern WI, October was the 7th coldest and wettest on record. Brrrr. Your recipes sound wonderful, Lyn! I mailed your new book to my mom yesterday but haven't told her. She'll have such a lovely surprise in her mailbox this week! Marta, my thoughts and prayers are with you. i am so sorry to hear about your loss. I'll let her know! Thanks for caring. Please let Marta Perry know my prayers and thoughts are with her. Thank you for the recipes. Have a Bless day.